Be the first to share your favorite memory, photo or story of Carlos. This memorial page is dedicated for family, friends and future generations to celebrate the life of their loved one. 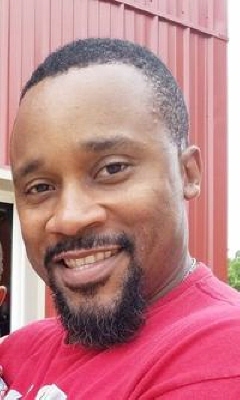 Carlos Patterson, 45, of Enterprise, AL passed away on Sunday, February 3, 2019. A funeral service will be at 1:00 p.m. Saturday, February 16, 2019, at Southern Pines Primary School Auditorium, 1250 W. New York Avenue, Southern Pines, NC 28387 with Pastor Charles Bloom officiating. The family will receive friends beginning at 12:00 PM at the school continuing until the time of the service. Carlos was born November 15, 1973 in Pinehurst, NC. He was preceded in death by his father, Charles Hargrove. He retired from the Army after 23 years of service as a Chief Warrant Officer 4 (CW4). During those years he was a highly decorated Black Hawk pilot and served 3 consecutive combat tours, saving numerous lives. After retirement he was a social worker for Patterson Counseling and Therapy, LLC, a counselor and mentor for Opp and Enterprise City Schools, a counselor at Professional Mental Health Associates of the Wiregrass and Cosby & Cosby Counseling and Consultation, LLC. Survivors include his wife, Marlene Patterson; children: Carlos “C.J.” Patterson, Jr., Cartez Patterson, Keenan Davis and Malia Davis; mother, Bertha Patterson; grandchild Anais Patterson; four brothers: Darriet Patterson (Sabrina), Lamont Reaves (Iasia), Charles Hargrove, Jr, and J.W. Hargrove; two sisters: Charlette Cunningham and Lynn Hargrove; numerous nieces, nephews, aunts and uncles. Carlos touched so many lives during his time with us and he will be missed dearly. To send flowers or a remembrance gift to the family of Carlos Leverne Patterson, please visit our Tribute Store. "Email Address" would like to share the life celebration of Carlos Leverne Patterson. Click on the "link" to go to share a favorite memory or leave a condolence message for the family.